Welcome to this collection of my children's illustrations, some of which accompany stories I've written and some of which are based on daydreams and inspirations. 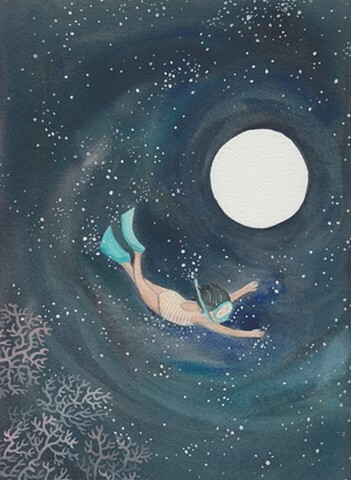 I love whimsical, playful imagery, and I especially love night time adventure stories. Check out my portfolio on this site. And to learn more about me and my work, please follow the link to my blog. I also have a new Etsy shop with prints and cards for purchase. Follow the "shop" link from this site or search their site for quietestNOISEstudio.